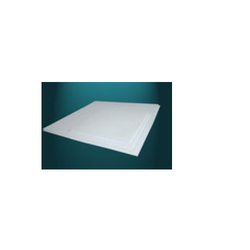 Prominent & Leading Manufacturer from Mumbai, we offer ptfe line plates and ptfe pipeline. PTFE Line Plates offered feature superior PTFE lining support so as to provide for lasting service performance as well as safeguard plates for corrosion possibilities Further, these PTFE line plates can also be made available in insulation electronic grade and have low absorption of water as well as the superior coefficient of friction. Some of its features include excellent lubricity and non-adhesion properties; excellent flame retardancy and mechanical properties; superior anti-aging performance; superior resistance to high/low temperatures; suitable for use in making of wear-resistant plate/insulation parts/machinery parts. PTFE Pipeline offered comprise high temperature bearing PTFE lined pipelines that come developed using virgin PTFE material so as to provide for superior construction value as well as offer lasting service standards. 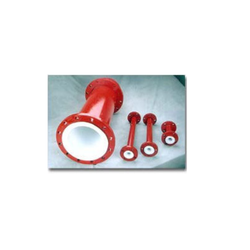 Further, these PTFE lined pipes can also be custom developed as demanded by the customers. Some of its features include; can be made available as per different industry standards; option of OEM finish.